See calendar for public cruise schedule. We offer a variety of services that suit the local needs and wants as well as the tourists interests. 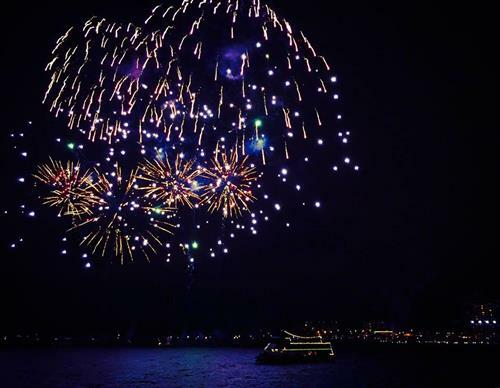 With a venue and surroundings completely unique to us, there is plenty of excitement to be on our cruise boats! Public cruises and lake tours are available daily or otherwise regularly scheduled. A complete list and descriptions of these cruises can be found on our web site. We also professionally coordinate private charters for parties, weddings, reunions, receptions, holiday celebrations, or business meetings of 4-400+. All boats are conveniently climate controlled in the lower enclosed deck, have an exposed upper deck with tables and seating, and can be completed with in house catering and beverage service. 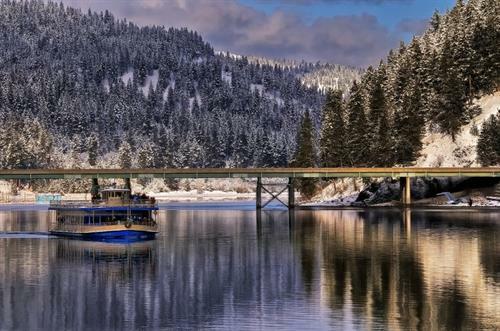 Located on the East side of the Coeur d'Alene Resort. Accessible from the Boardwalk entrance neighboring The Resort and the city boat launch and McCuen Park.